What kinds of markers can I use on this board? 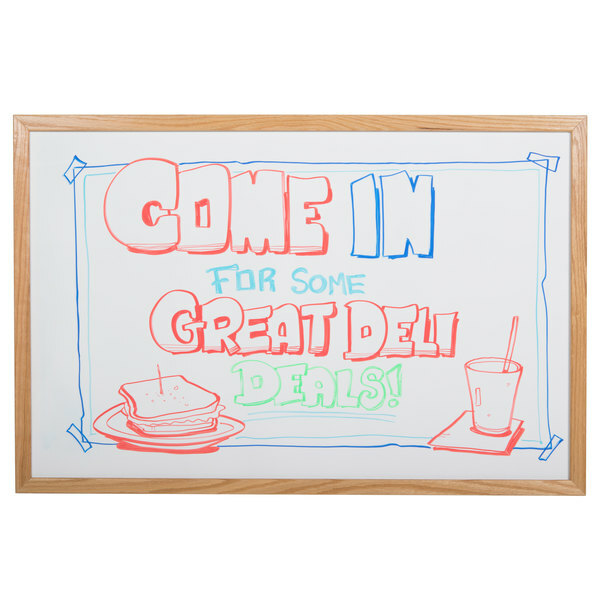 For bright and vibrant messages, use neon, white, or colored wet/dry erase markers. The manufacturer does not recommend using chalk markers on this board. 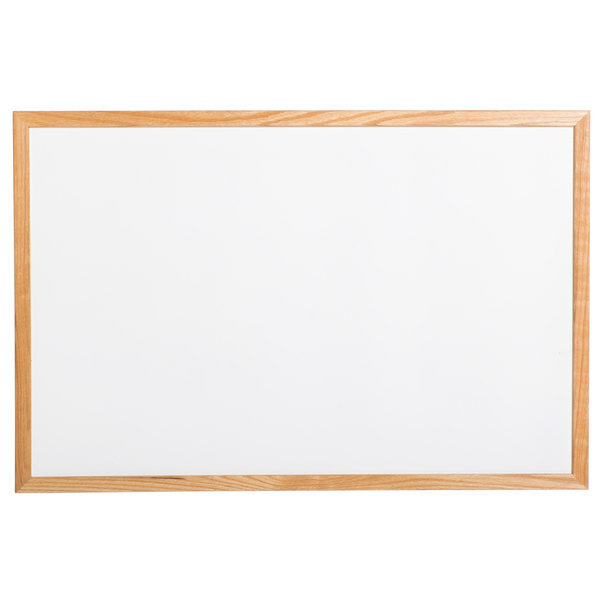 Banish bland advertising with this Aarco WOC3660NT-B 36" x 60" white marker board! Your advertising options are endless with this versatile board. 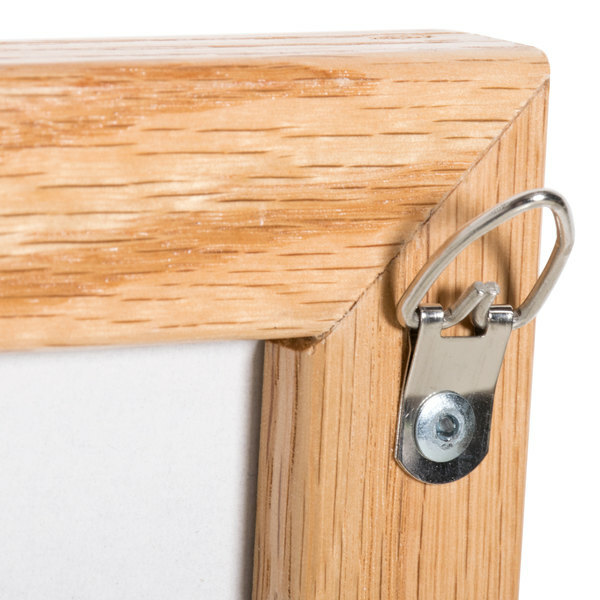 Attach it to a sturdy wall or ceiling surface using the two attached triangle d-ring picture hangers and some basic hardware (hardware sold separately), and get to work creating beautiful, yet informative, displays right away! To make your announcements as bright as possible, use neon or colored markers (sold separately) for a vibrant look. 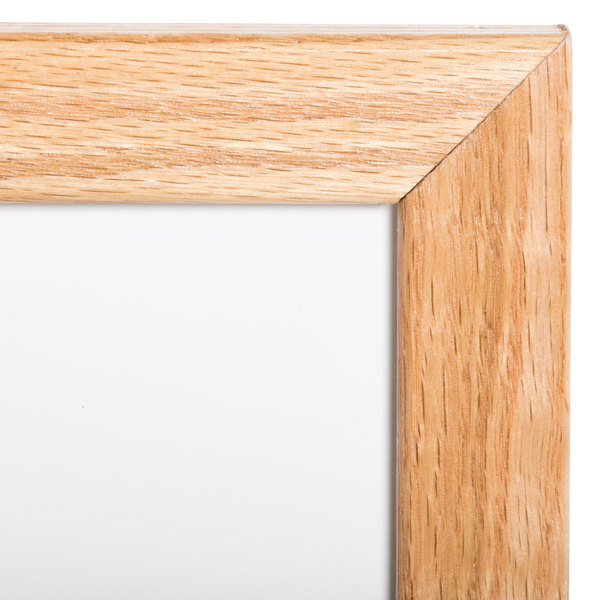 This 36" x 60" white marker board is bordered on four sides by a solid red oak frame with a high gloss finish to complement any decor. The white marker board surface makes it ideal for use with bright, bold markers, yet the overall appearance ensures it will fit in, in virtually any environment. Use this marker board at your winery, brewery, bar, or club to advertise drink offerings. Or put it to use in your trendy coffee house or cafe to promote upcoming entertainment or drink deals. It works well in seafood shacks, surf and turf restaurants, and even upscale establishments where specials could use an extra promotion. 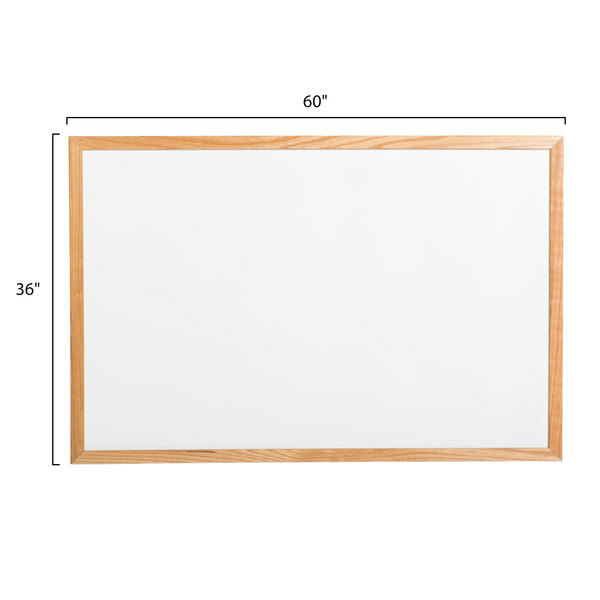 Use it at your school or university to display daily specials or upcoming events, or post important messages for parents, students, and staff alike, all on this versatile marker board! 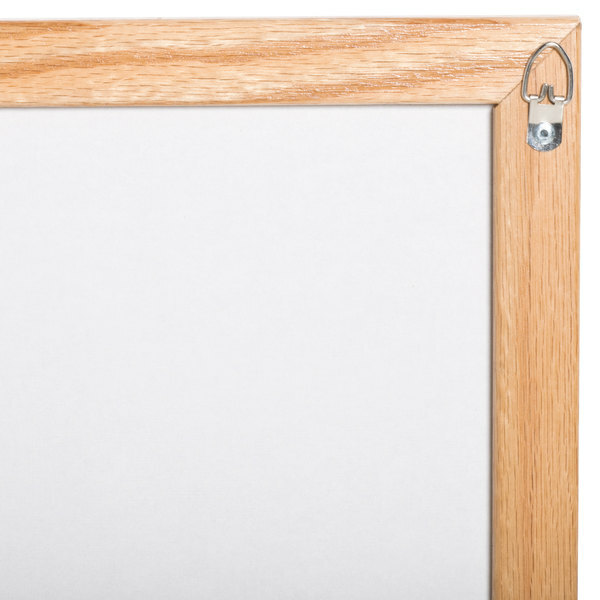 This board can also be used with dry erase markers. Not recommended for use with chalk markers.